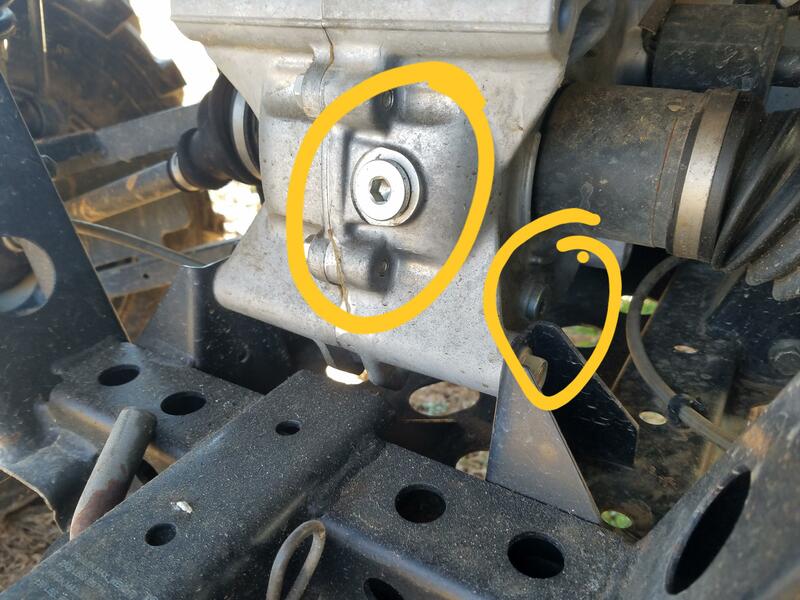 RangerForums.net - Polaris Ranger Forum > Polaris Ranger Forum > Full Size Ranger Discussion > Polaris Ranger Rear Diff Oil How Much?? I have a 2013 Ranger 800 Full Size. I drained the Diff oil from underneath in Skid Plate. I read it should take 41 oz AGL oil but I have pumped 2 quarts in the rear fill hole by the hitch and its still not coming back out that hole. I would have thought it would seep out the bottom of the fill hole if it was full. Thoughts? And thanks in advance!!!! The level check / alternate fill hole is on the right side under the axle. Page 50 in your owners manual. I dont have a manual to mine. Which side axle? I was looking at a picture on line that showed an fill hole on passengers side but mine does not have that there. Thanks! The drain is also on the passenger side, not underneath. The drain for the 900 is accessible from underneath. Does it have the raised spot on the case that didn't get drilled and tapped? The 800 takes 34 oz. Do you have an 800 or a 900? Here is a link to a manual. Last edited by Rockit401; 01-10-2019 at 09:16 AM. Mine is the 800. 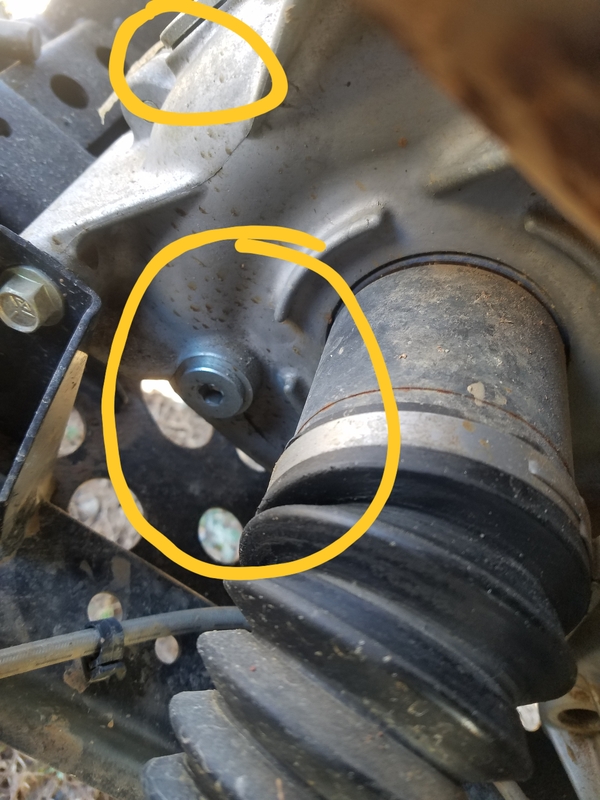 I am confused because what I drained was under the skid plate back toward the hitch between the 2 rear wheels. It was a larger allan wrench and the plug had a magnet on it so from what I read it was for rear differential. I have looked everywhere especially on the passenger side and I dont see any other drain plugs. 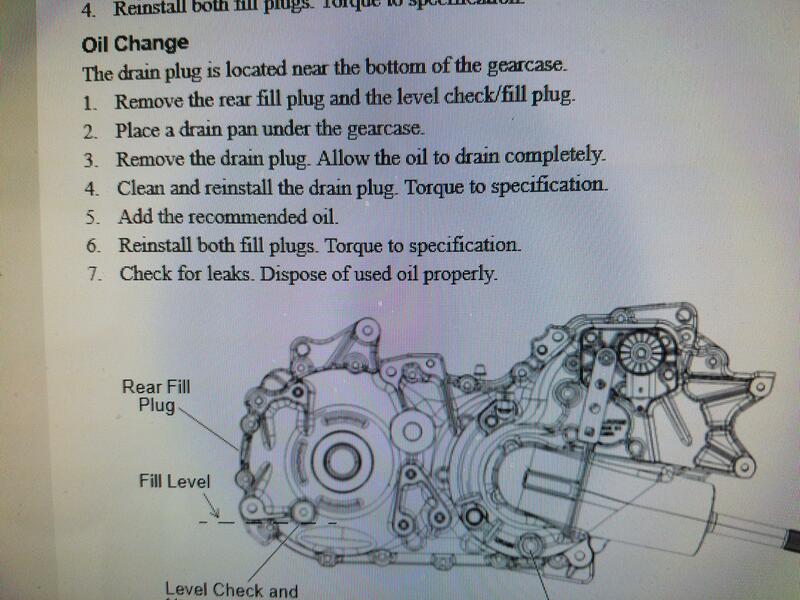 Pull up the 800 manual from the link above and match up the pictures with your transmission. It also covers the 6 wheel Ranger which kind of sounds like what you are describing. Last edited by CoonHunter51; 01-10-2019 at 11:47 AM. I think you are right about the drain plug being on the bottom. Best I remember it was on the bottom on my '13 model 800 mid size. Seems like the hole in the skid plate didn't line up correctly either.